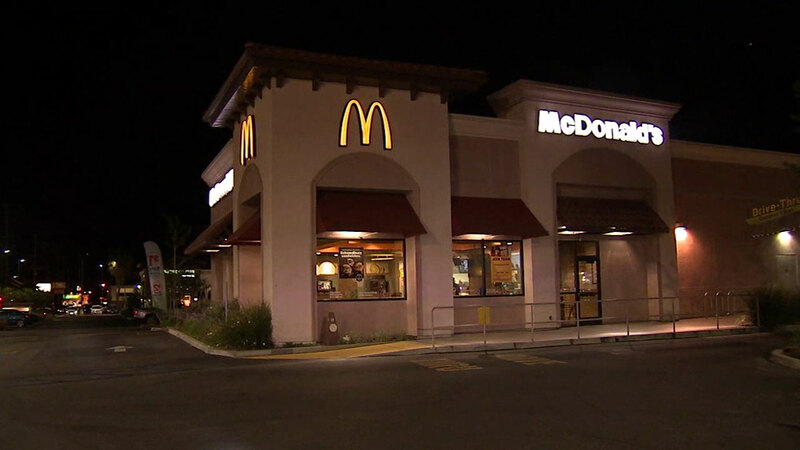 CHATSWORTH, LOS ANGELES (KABC) -- A man suspected of attacking his girlfriend with a butcher knife and hammer near a McDonald's in Chatsworth has been arrested, authorities said. The incident happened shortly before 6 p.m. at De Soto Avenue and Nordhoff Street near the fast-food restaurant on Tuesday. Some witnesses at the scene drove the victim to a nearby Los Angeles police station. The victim was then transported to the hospital by firefighters. She was listed in stable condition and suffered stab wounds and multiple broken bones to her hands and arms. Authorities identified the suspect as 19-year-old Angel Rios. Officers said Rios was found at a family member's home at about 9 p.m. and was arrested. Detectives said the dispute appeared to have began over the custody of a child.